2. RA patients with remission have normal level of blood short-talin. be more reflective of the pathology of RA. 【Case 1】Non-responder with tocilizumab (TCZ). 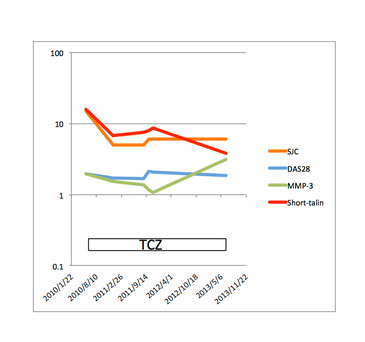 Sustained high level of DAS28, SJC, and MMP-3 even after treatment with TCZ. Blood short-talin was improved, but did not reach to the normal level. 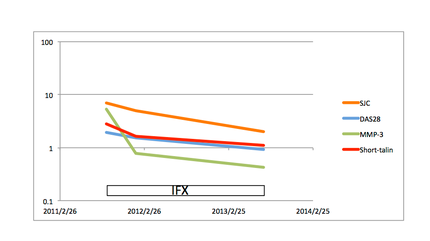 SJC and DAS28 were observed to become normal range after the treatment with IFX. 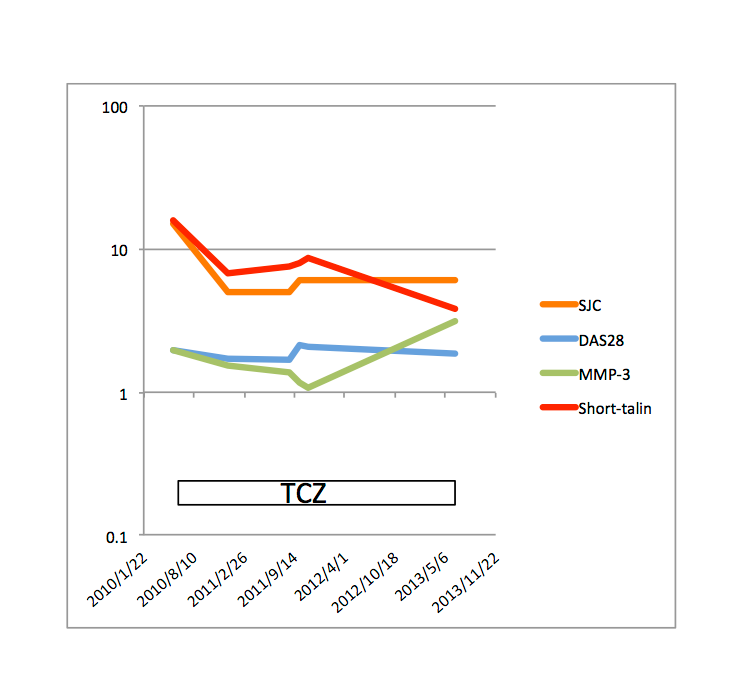 MMP-3 got into normal before DAS remission. 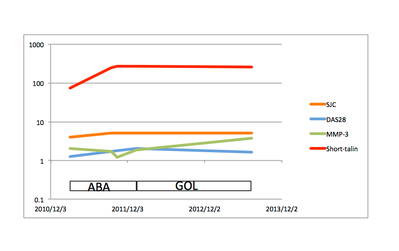 SJC, DAS28 were sustained high level after treatment of abatacept (ABA) and golimumab (GOL). Blood short-talin was also extremely high level. Although DAS28 and MMP-3 were decreased to normal, there observed positive SJC after treatment with IFX. Blood short-talin did not reached into normal.